Today, the Sixth International Conference on Climate Change (6th ICCC) will start in Washington DC and end tomorrow at noon (June 30 to July 1). The event is sponsored by the Heartland Institute, a free market think tank based in Chicago, Illinois, USA. 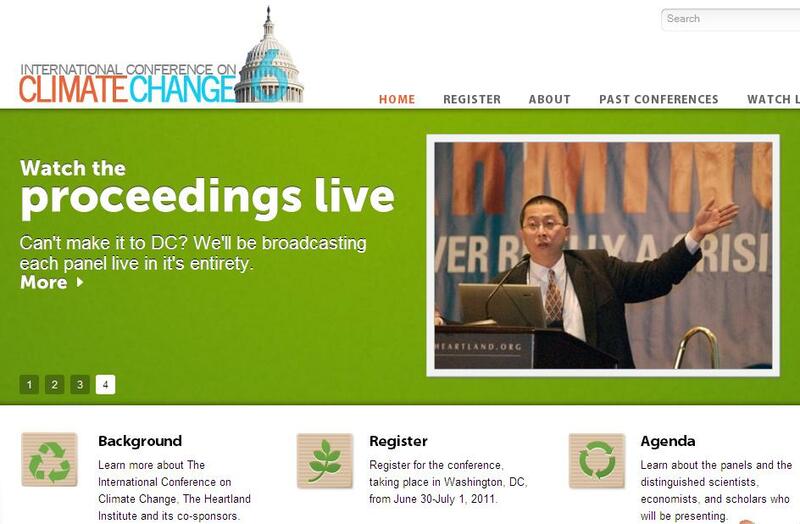 As the title implies, this is the 6th time since 2008 that Heartland has been sponsoring this important conference on climate realism, not alarmism. The proceedings of the first 5 conferences can be downloaded at the earlier link I gave. In this photo is Dr. Willie Soon, a Malaysian-American solar physicist from the Harvard-Smithsonian Center for Astrophysics, Boston. He was among the keynote speakers during the 2nd ICCC in NYC in March 2009. I have befriended Willie since then. The 5th ICCC was originally called the Pacific Rim Conference on Climate Change, held in Sydney last year. It was a one-day activity only, attended by mostly Australian participants. 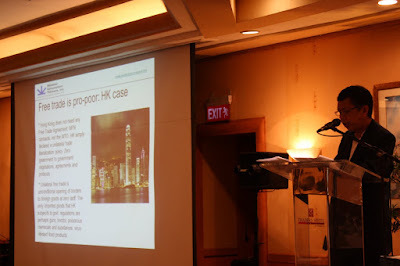 The event was after the two-days Pacific Rim Policy Exchange, September 29-30, 2010, held in the same hotel. Heartland was a co-sponsor of this event. There were many international participants in that two-days conference, from North and South America, Europe, Asia, and Australia-New Zealand. I have attended both events, thanks to the Americans for Tax Reforms for providing me a travel grant. The 4th ICCC was held in Chicago last year. 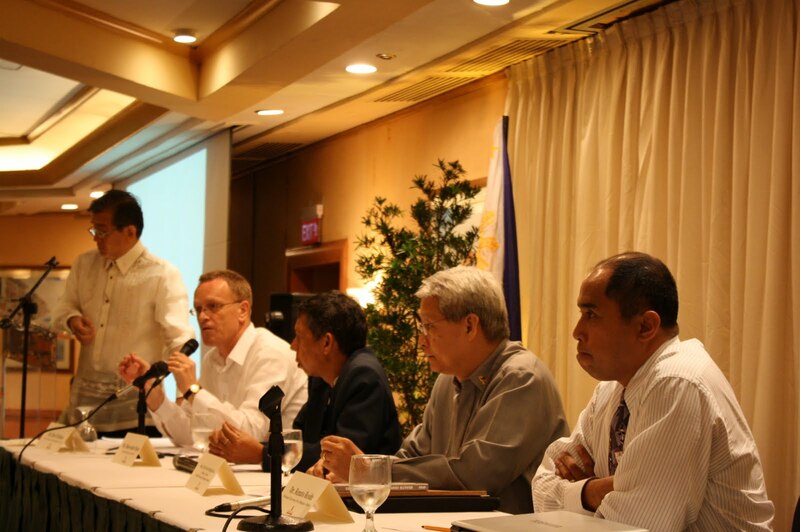 I attended it, courtesy of Heartland's travel grant as our think tank, Minimal Government Government Thinkers, Inc. was one of the international co-sponsors of the event. 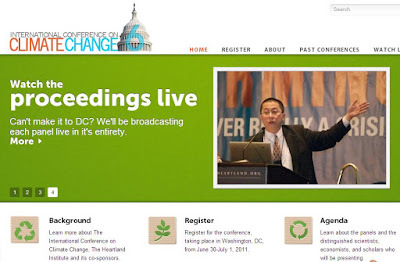 The 3rd ICCC was held in Washington DC sometime in June 2009. It was a one-day activity and targeted US legislators, their staff, other interest groups as the US was debating then the carbon cap and trade legislation. The 2nd ICCC was held in NYC, where the United Nations holds its headquarters. It's the UN's IPCC that fanned global warming alarmism and another UN body, the Framework Convention on Climate Change (FCCC) is responsible for the global coercion on various environmental and energy regulations, taxation and subsidization to certain favored or crony energy sources. 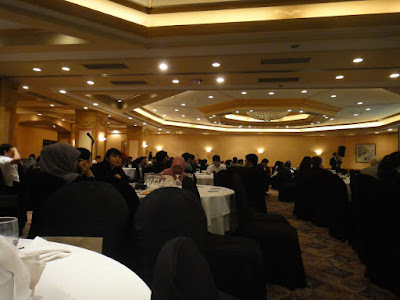 I also attended that event, again, courtesy of Heartland which gave me a travel grant for the same arrangement, our think tank was one of the international co-sponsors of the event. 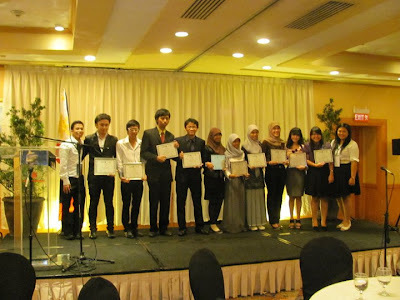 Well, we were the only think tank from South East Asia actually, that co-sponsored the event. 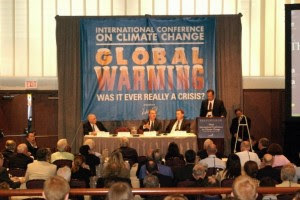 My article about the event is here, Politicizing science via climate alarmism, dated March 12, 2009. 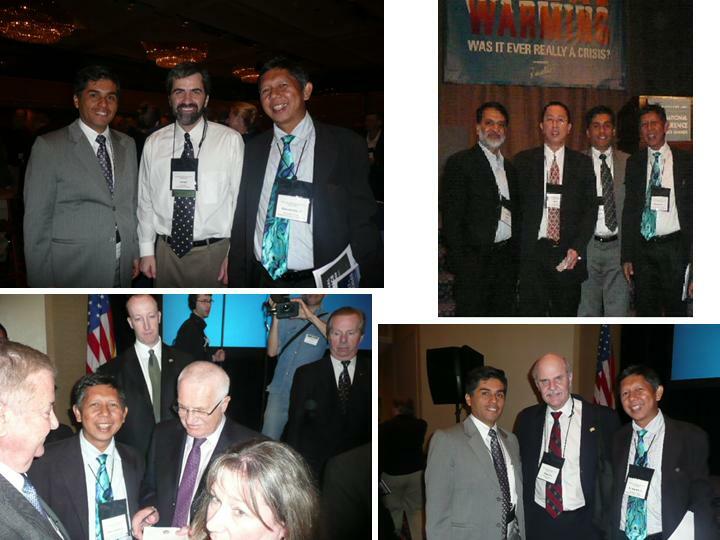 Some pictures during the 2nd ICCC, from top left, clockwise: With Jose Luis Tapia of ILE, Peru, Joe Bast, President of Heartland Institute; Barun Mitra of Liberty Institute, India; Dr. Willie Soon, and Jose Luis Tapia; Jose and Alex Chafuen, President of the Atlas Economic Research Foundation; and with Pres. Vaclav Klaus, President of Czech Republic, who was one of the keynote speakers of the conference. I wish Heartland and other organizers/sponsors of the 6th ICCC another successful event. MG Thinkers is actually among the international co-sponsors again of the event, but the secretariat may have forgotten to include our name and logo in the list. From Cicero: Laws are silent in time of war... No one has the right to be sorry for himself for a misfortune that strikes everyone. @NewAsianist High and increasing RP exports of services is just one result of our high population and continued economic globalization. From Plato: The measure of a man is what he does with power... There is no harm in repeating a good thing. @Karen_DaviLa Why does the ABS-CBN network seem to cover, or amplify, the fishkill story in Taal lake compared to other network? Fr. Aristotle: Men are swayed more by fear than by reverence... Hope is the dream of a waking man... Change in all things is sweet. From Seneca: We become wiser by adversity... In war there is no prize for runner-up. @taxreformer Forced removal of a company's trademark & logo will not only violate IPR laws but remove distinction bet real & fake producers. "The spirit is willing but the flesh is weak.' Translated to russian, back to english became, 'the wine is agreeable but the meat is stale'. @harryinitiative Cebu Pacific is getting more expensive, more crowded, longer time to check in, more flight delays. I take zest air lately. @HerreraVeronica Kindness is the language which the deaf can hear and the blind can see. Fr. Montberte: Good girls are bad girls that arent caught… Never make anything simple and efficient when it can be complex and wonderful. From Mymathcloud: Old mathematicians never die; they just tend to zero… A mathematician is a device for turning coffee into theorems. Planes are so fast nowadays that we can go around the world in two hours, including one hour to get to the airport. @karadavid that means the drainage is fully clogged. With rainy season until October or even December, it will remain flooded then. Fr mathcloud: 3 out of every two people are bad at working with fractions… The shortest distance between two points is under construction. There are three kinds of people in the world; those who can count and those who can't. From Plato: When the mind is thinking it is talking to itself.... If particulars are to have meaning, there must be universals. 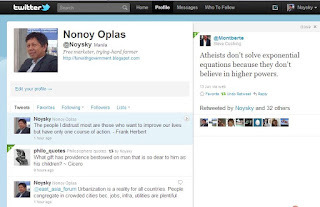 @kikopangilinan Pwede rin "renewable marriage". Every 3, 4 or 5 yrs, a marriage is automatically annulled. Couples will renew their vows. @HarvardResearch I saw in wiki abt 200 types of cancer. What used to be seen as non-C are now confirmed as C. Thus, d rise in C cases. See also Twitter Notes April-May 2011, January-March 2011. Last year: December 2010, November 2010, and October 2010. Below are four charts and tables I got from four different sources, related to the various players that affect drug pricing, and the role of advertising and marketing in drug costing. 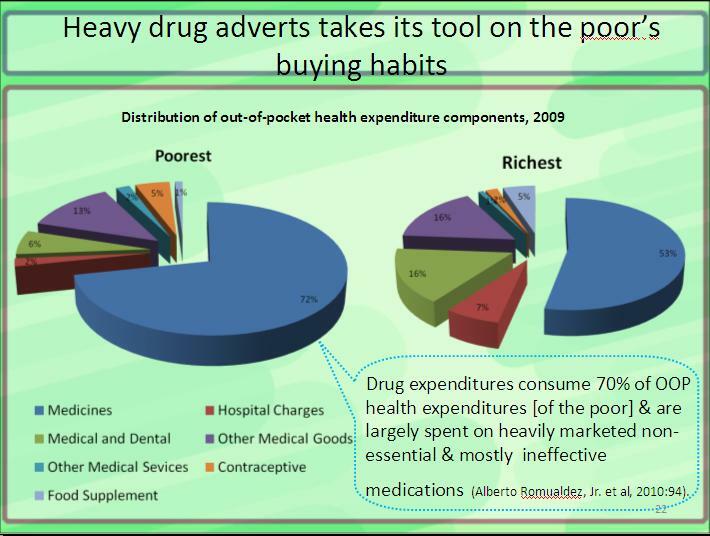 The first chart, I got from a presentation by a friend at the Coalition for Health Advocacy and Transparency (CHAT), Vanni Villafuerte, during one of CHAT's planning workshop. Vanni gave me permission to use his papers. 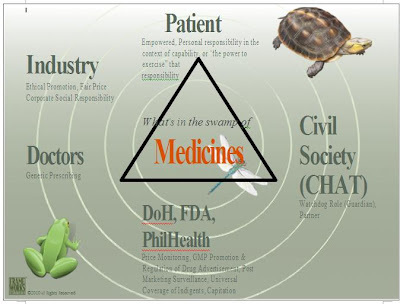 These are the players and stakeholders involved in medicines (especially pricing and availability): (1) Pharma industry, (2) doctors/ physicians, (3) government (DOH, FDA, PhilHealth), (4) patients, and (5) civil society, especially CHAT (and MeTA). I think Vanni forgot to include two other players. These are the (6) drugstores, pharmacies and their pharmacists, and (7) toll manufacturers and wholesalers. Take note also that government is much BIGGER than projected here. Government in the health sector is not limited to the Department of Health (DOH), Food and Drugs Administration (FDA) and PhilHealth. There are also the Dept. 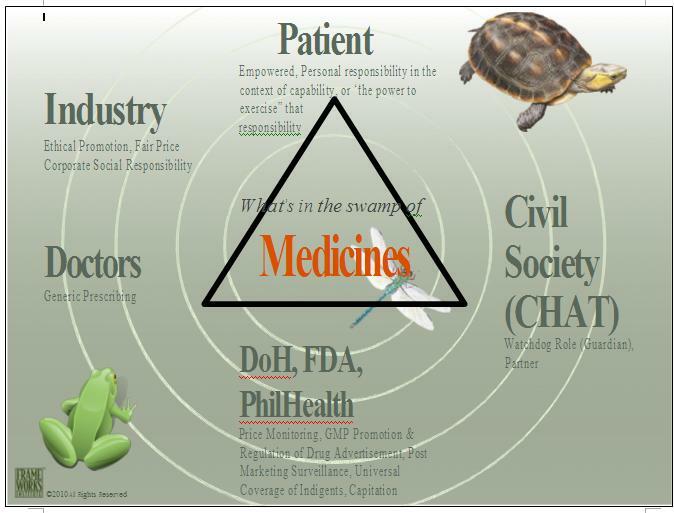 of Finance (DOF) and Bureau of Internal Revenue (BIR) involved in taxation of medicines; the Intellectual Property Office (IPO) and the courts, for patent and other IPR cases; and the local governments (provinces, cities, municipalities) which have their own medicines procurement and distribution programs, have their own hospitals and rural health clinics. With plenty of players at both the supply and demand sides, there are many factors therefore, that can influence drug pricing and availability. This table, I got from Dr. Guia Crisostomo Tan's presentation sometime in September 2010. No currency was specified, this should be in US $ billion. The numbers in red rectangle compare the "cost of products sold" and "selling, marketing and administrative costs". 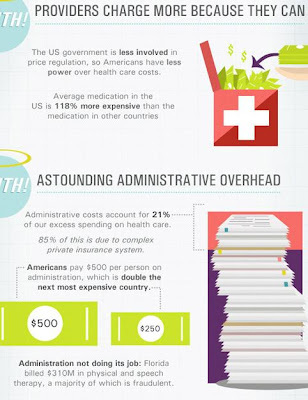 I think the "administrative" expense would include the various taxes and fees that a corporation would have to pay to the government (VAT, income tax, import tax, local government tax, etc.) each year. Cutting the expenses on marketing may look tough as drugs are not similar to hamburger or pizza that even ordinary consumer can analyze without the need for expert advice. Drugs, especially newly-discovered, are highly technical products that would need to be introduced to physicians and patients/guardians by specially trained staff. Another chart from Vanni, which he got somewhere else. 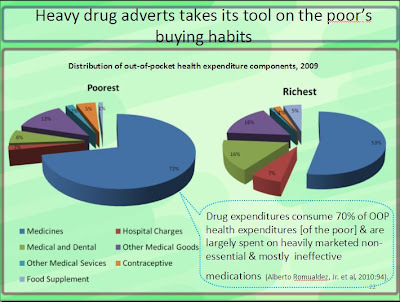 The drugs being purchased by the poor (left pie) here refer to off-patent and generic drugs, not the patented drugs by the innovator companies. 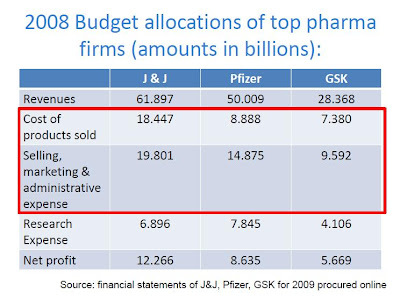 While the "newness" or "revolutionary-ness" of the innovator drugs determine their higher price, the extent of advertising and marketing that the generic pharma companies use, determine not only the price but also the patronage by the public of their products. To summarize, if drug prices have to be controlled by the government, the above charts are saying that this is an unwise move. First chart with my addition of 2 other factors is saying that it is not only the pharma industry that determines drug prices. There are other players like the drugstores, physicians, the DOH, etc. If drug prices have to be controlled, then taxes on drugs, profit margin by retailers and hospitals, etc. should also be controlled. 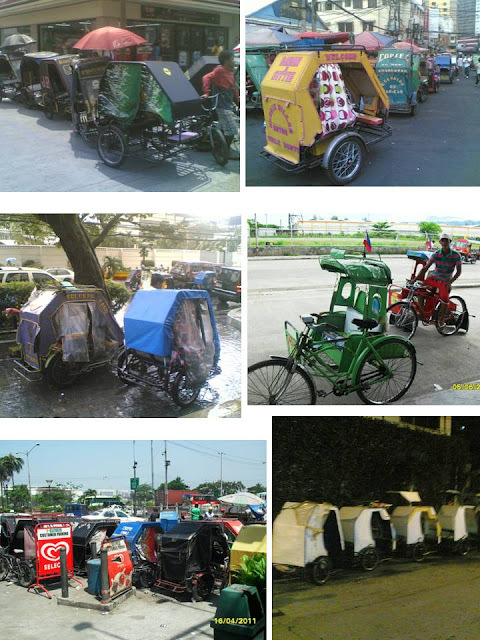 Doing these nationwide will create a logistical nightmare for the DOH and other implementing agencies. 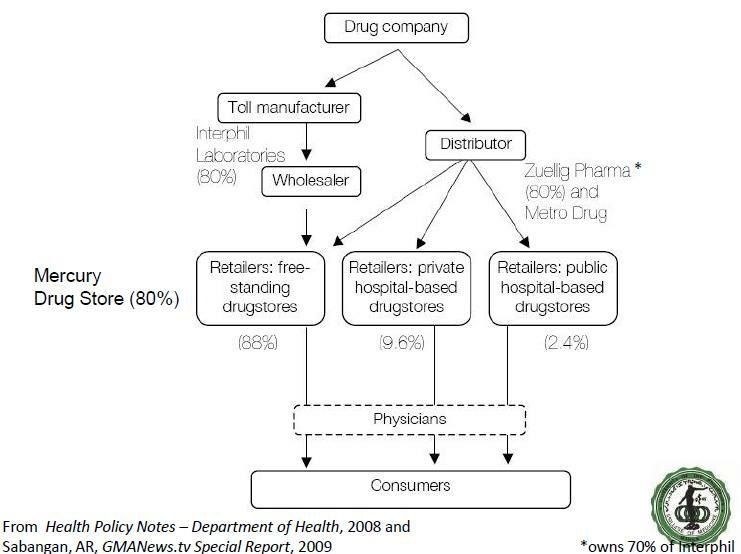 Second chart is saying that a significant factor that causes high drug prices is the lack of competition, the degree of oligopoly, in the drug distribution chain. 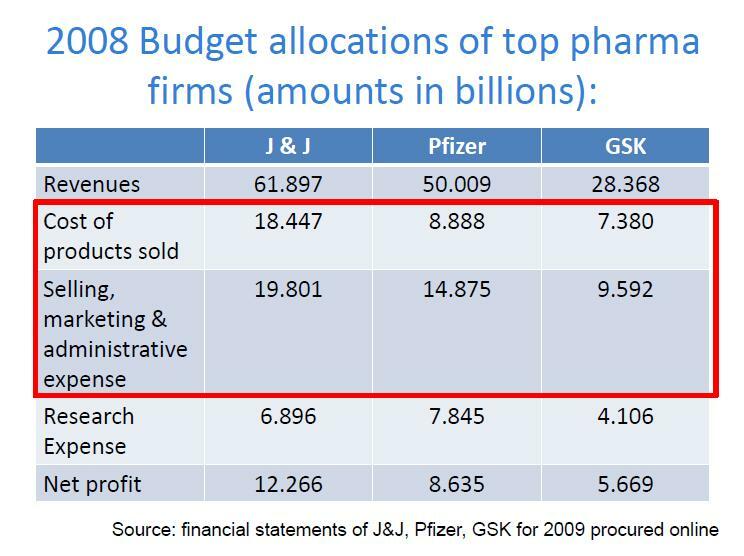 The third chart is saying that in the case of innovator pharma companies, while the cost of selling, marketing and administration is big, there are two other equally important factors that contribute to high drug prices: the cost of R&D, and the cost of products/drugs sold. It will be simplistic and parochial to blame just one or two of the various players involved in drug manufacturing to wholesaling and retailing, for high drug prices. It will also be hypocritical for the government not to own up to certain factors or policies why drug prices are high. And these are the taxes slapped on medicines and vaccines. China is now the world's biggest lender country, the US now the world's most indebted country. China reserves of US treasury notes (ie, public debt) alone is at least $1 trillion. Who wants war in this country, because of those far away islands and islets? HK and Singapore are laughing at the Philippines, possibly at other claimant countries aside from China. Singapore land area is almost 1/2 that of Basilan island, and Singapore GDP size is larger than the Philippines, and possibly 100x that of Basilan provincial GDP. And here is a poor country Pinas who cannot even develop Basilan, much less other islands and provinces in its own undisputed territory, singing some war dance (aka more taxes for the military), wanting to extend its "power" over far away, very small islands, in disputed territories. Who are the spin doctors behind this idiocy? A friend made a quick reaction to my post above: "US wants to get in. China wants US out. PH wants US in." I think that China will laugh at the US when it comes in. The US cannot even engage for long a small enemy with oil, Gadhafi of Libya. The US cannot even exit gracefully in Iraq now; it cannot even defeat the Talibans in the caves and mountains of Afghanistan after it entered that country in 2001. And it cannot even find a way to cut its $1 trillion a year budget deficit (Federal government deficit alone). And we expect that it will want to adventure for long in the South China Sea? What for, oil? They already invaded Iraq for oil. What else, for tuna and blue marlin? There were three comments in a friend's wall that I like. 1. Is there any brewing scandal at the Office of the President or other big agencies in the Philippine government, and people's attention are diverted now to the Spratlys issue? 2. Are the few but powerful thieves in the government, so hungry with more tax money, they ramp up the Spratlys and China issue? 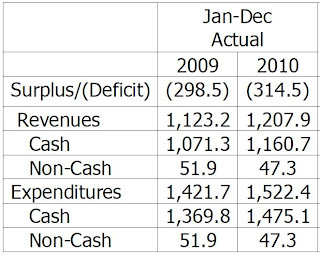 Note that the 2012 budget will be submitted to Congress in late July or early August this year. 3. Is China so angry at the planned debt default of the US government, even temporarily, where China is the biggest lender government to the US? I am wondering if the spin doctors from all sides can give us ordinary mortals, some hints of what's going on. As I noted above, the island-province of Basilan, clearly within the Philippine territory, zero dispute about it, we cannot even develop. It used to be the scene of kidnapping for ransom by the Abu Sayyaf, and fighting between bandits and some Muslim rebels with the AFP. Basilan land area is 2x that of Singapore. The AFP, the police, the national and local governments, cannot even ensure peace and order and attract more businesses and job creation in that island province. 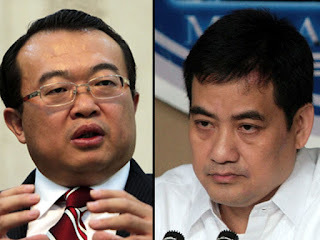 So why spend billions of pesos more for the Spratlys adventure? From Manila, those islands are even farther than Batanes in the north and Basilan in the south. By ramping up the Spratlys "war dance", it is clear that there are certain sectors and vested interests who intend to steal big time from us taxpayers. 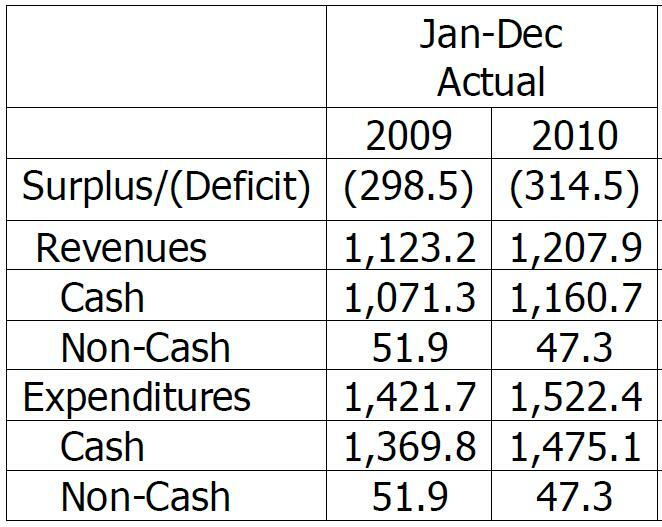 Every year, the country's budget deficit is about P300 billion. Is this not enough? They want more military spending, more borrowings, and more taxes to pay those borrowings. Personally, I even plan the trips for my kids well as there are lots of taxes in gasoline and diesel products. Out of the P53/liter gasoline prices, at least P13 of it are government taxes alone (import tax + excise tax + VAT). 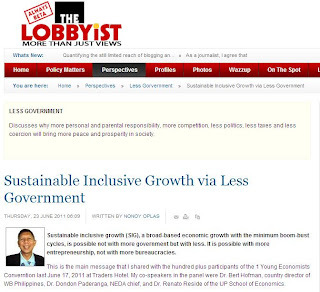 What do they want now, more taxes in gasoline and other products to finance their planned robbery in the Spratlys spending? This is silly, if not crude robbery. Some people insist that higher defense budget, "strong external defense is an obligation of the state, supported by a strong economy." 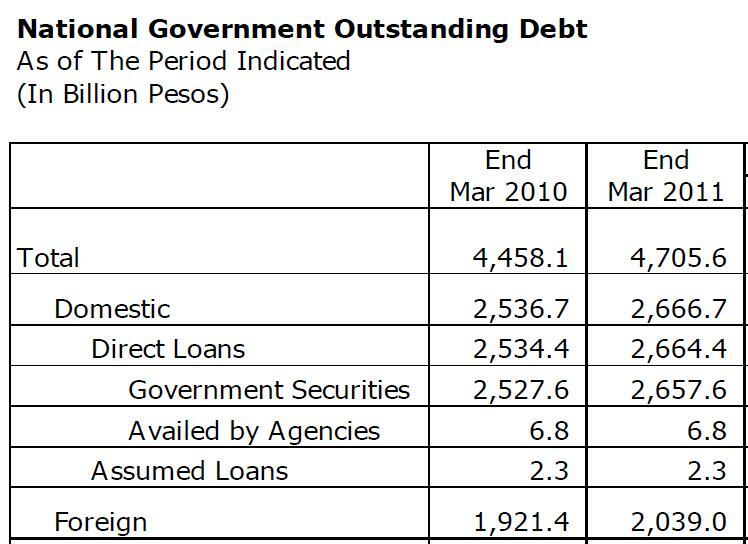 At the current fiscal condition of the Philippine government, it is impossible to have a "strong economy" if 20% of the entire tax collections of the government every year is spent on interest payment alone, because of the huge public debt. From the remaining 80 percent of total tax collection, all sectors will fight it out for a shrank pie -- education, healthcare, housing, agriculture, environment, police, military, local governments, social work, public works, CCT, etc. That is why more borrowings have become the rule rather than the exception. It is therefore impossible to increase defense or military spending without increasing public borrowings. Unless we privatize Camp Aguinaldo, the AFP and the Department of National Defense (DND) can use tens of billions of pesos of privatization proceeds for AFP modernization, and the the AFP, DND and their golf course will move somewhere else for their headquarters. There is indeed a big challenge to "put the house in order." Government should learn to live within its means. Do not over-spend, do not over-borrow, do not over-tax, do not over-adventure militarily. Corruption, wastes and robbery in government can immediately be minimized by applying this simple philosophy. Just to have a zero budget deficit even for one year has become an "impossible dream" now. How come? A good friend, Sam A, aka "Abu Samy", made this reaction about the proposed "Spratlys adventure" by certain sectors in the Philippines. He used to be a plane pilot, so he knows a number of things about jet planes and fighter planes. Ahhhh, national sovereignty and pride, what have you wrought? Challenging China? Seriously? With what? A couple of rickety PT-like boats, some tora-tora vintage planes, and a howitzer or two perhaps? Ok, ok, so that's why they're asking for more moolah to supplant our paleolithic fleet of combat material. Do they have a wishlist, i.e., offensive or defensive type of equipment, quantity, supply and maintenance, training, simulators, etc.? To effectively defend the disparate and lilliputian Spratlys against a full-scale invasion (aircraft and destroyers) by the Chinese, we'd need at least two squadrons (~28 aircraft) of at the very least, Harrier V/STOL fighters to fend them off. The Harriers were roughly $40 million each WITHOUT ammo, armamaents (missiles & bombs), spare parts and fuel in the year 2000. That's roughly P2 billion each. You'd also need an air tanker or two of KC-135 Stratotankers ($40 million each w/o spare parts, etc.) 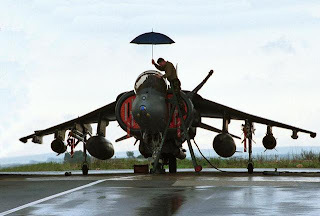 to sustain the Harriers in flight. And yes, the missiles (air-to-air and air-to-ground). We'd need a lot of Sidewinders (air-to-air) and Mavericks (air-to-ground) to fend them off. The Sidewinders are $100k a pop. The more sophisticated beyond visual range (BVR-AAM) air-to-air missiles cost $300K each. 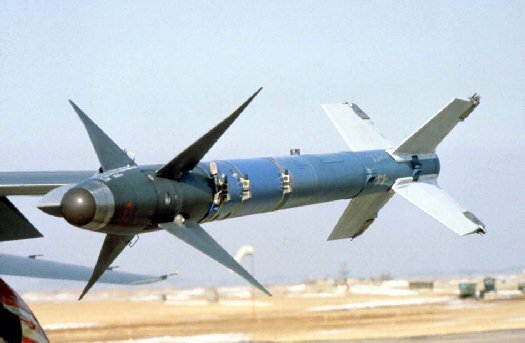 Maverick missiles are about $150K each. Total bill? Roughly P350 billion for a 3-day war. And that mind you is IF the Chinese just send their MIG-21's to dogfight with the Harriers. If they send their new stealth fighter the J-20, well the AFP might want to purchase some F-22 Raptors ($339 Million each) and/or F-18 Hornets ($60 Million each) to mix it up well and win. I told Abu Samy that perhaps the potential (or resident) big time thieves in the government are not that ambitious to "beat" the Chinese military as suggested by him. I have not heard or read from the "war dance" singers and lobbyists any amount closer to "P350 billion" for a 3-days, or even a 3 months war. Me also thinks that the potential thieves would be contented with P10 B a year for 4 years as additional funding on top of regularly appropriated for "AFP modernization", as suggested or ordered by President Noynoy Aquino. Why? Because having a really "strong" air force and navy to match the Chinese firepower is not their goal. Their main goal is to get or steal X percent from P10 B per year. The current typhoon MeAnn (local name "Falcon") in the Philippines is the 6th for this year. Last year, a big El Nino year, there were only about 12 typhoons. This year, it looks like we will surpass the average of 19 typhoons a year. 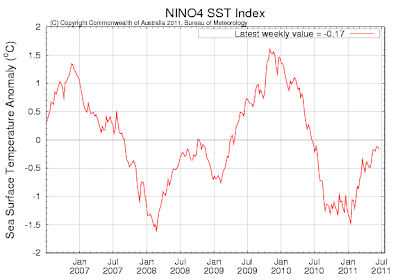 Here is the sea surface temperature (SST) anomaly for equatorial Pacific Ocean Nino region 4, as of June 19, 2011. Graph is from Australia's Bureau of Meteorology. This is bad news for the "man-made warming" campaigners in East Asia. It simply means that the SST now in the Pacific Ocean close to East Asia is still "colder than normal" or "colder than average temperature". The area that is being used as main indicator for El Nino-La Nina is Pacific's Nino region 3.4, that's the middle of Pacific Ocean. Here is the historical record of SST anomaly for the past 61 years (1950 to 2011). No such thing as "unprecedented warming" or "definite, unequivocal warming". Rather, there is only up-down-up-down, warming-cooling-warming-cooling cycles. Only liars will say there is no such thing as climate cycles of warming-cooling, regardless of the number of SUVs, malls, factories and coal power plants in the planet. But what will further floor the warming racketers, is this projection of La Nina. 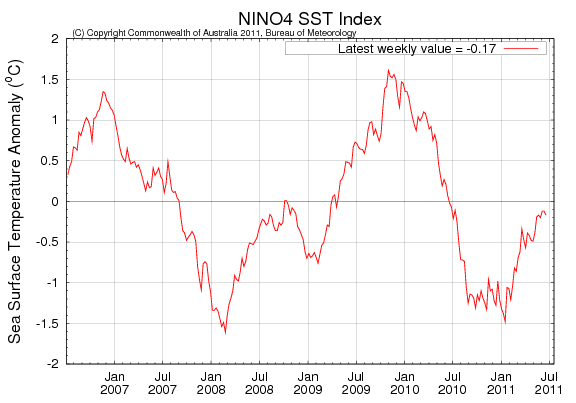 It started in May 2010, and El Nino or La Nina events normally last for about 12 months only, sometimes less. But the current La Nina is projected to last for 2 years or even longer, judging from the trajectory of the consensus forecast. Data of the above graph and this one is WUWT's ENSO reference page. It is indeed unfair that we are still being fed with idiotic claims of "unequivocal warming" or "man-made climate change" by the various warming camps and energy rent-seekers. By not tellig the truth of natural climate cycles, that the warming phase is over and we are entering a cooling phase for many years, people are not being prepared for the severe cooling that is facing us. We are told to get ready for mroe drought, more "water crisis", when what we should prepare is more rains, more flooding, more snow. The hawks' noise, suggesting bigger military funding to "challenge" China in the Spratlys, keep ringing. Citing national pride, national sovereignty, national boundary for their claims, they are now counting how many billion pesos per year in additional funding to the Philippine Navy will be needed. I oppose more taxation, more borrowings to finance more military spending for the Spratlys adventure. 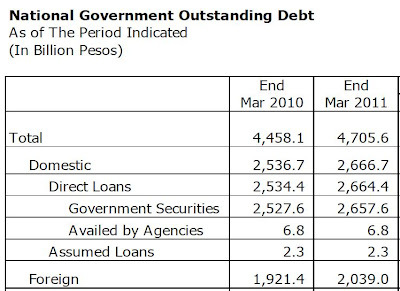 The budget deficit of P300 B per year is not enough, we need to raise it further? Perhaps to P350 B a year, or P400 B a year, or more? We should privatize Camp Aguinaldo, the DND and AFP can get the money for AFP modernization, and the DND, AFP HQ and their golf course can move somewhere. They should sacrifice somewhere in order to finance what they think is an important program. But if they insist that I and many other Filipinos will part more of our hard-earned money to finance AFP modernization, then it is something that I will not support. There are endless and yearly demand from all government agencies and sectors. Education and health will say "we need more money". Public works, housing, environment, justice will say "we need more money." Agriculture, credit, agrarian reform will say, "we need more money"; local governments, legislators, police, social work, CCT, etc. will say "we need more money." And soon, population control and condomeria will say "we need more money." Everyone in government is a sucker for more tax money. It's a bad culture in the government. Advocates of "more taxes for military in Spratlys" proposal should produce sensible numbers, that their idea will not produce more adverse implications in the country's public finance and other components of the economy. They should also produce good arguments why Basilan or Sulu or Tawi-tawi provinces and archipelago, clearly in our territory, zero territorial dispute, remain undeveloped, and now they want more adventure to "develop" the Spratlys. 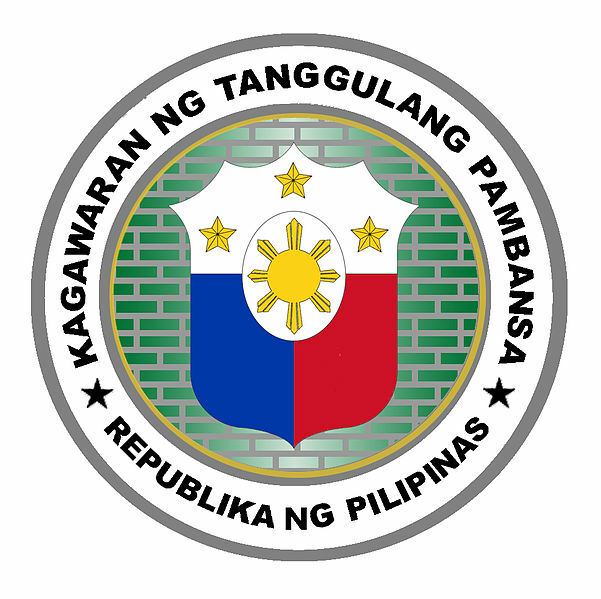 The BCDA Law of 1992 or RA 7227 stipulated that 32.5 percent of the proceeds of the privatization of military camps in Metro Manila and nearby provinces will go to finance the transfer of AFP camps, the construction of new camps, AFP modernization, housing and livelihood assistance to AFP personnel, rehabilitation of AFP medical facilities. 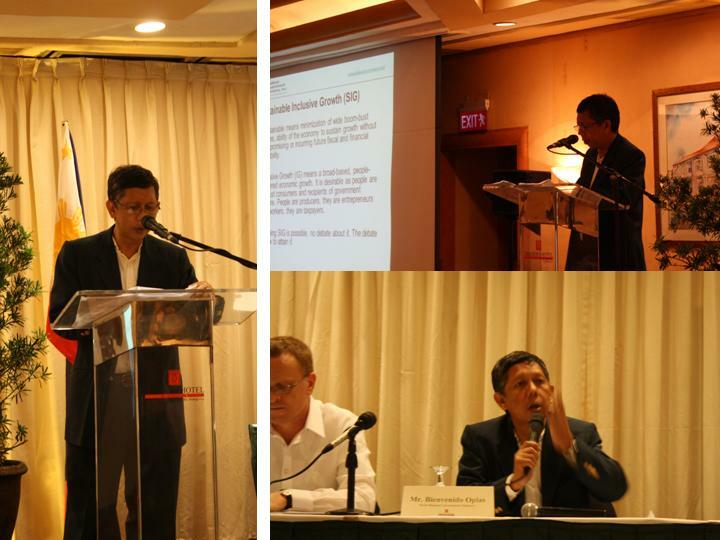 Fifty percent (50%) will go to finance the conversion of Clark and Subic into commercial uses. Five percent for housing of the squatters of Metro Manila, Olongapo City and Angeles City. The balance to be appropriated by Congress. 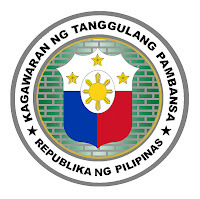 Some sectors of the AFP said that they "practically got nothing" from the Fort Bonifacio privatization, so they are not in favor of privatizing Camp Aguinaldo. Well, they can keep that camp and its wide golf course, but please, they should NOT call for more taxes, more borrowings, to finance AFP modernization. A friend suggested that the DOF and BIR should efficiently collect more taxes. These agencies know they should do it, it's just that the bad governance culture in the government simply disallows them to become efficient. 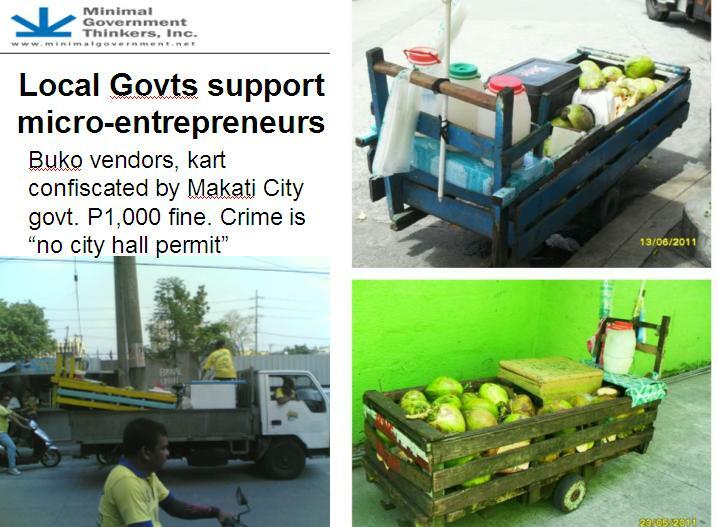 Besides, a medium size corporation in the Philippines pays 47 diff. taxes and fees every year, compared to just 4-5 different taxes and fees in Singapore and Hong Kong. Supposedly capitalist Philippines actually has more business taxes than socialist China and Vietnam. Check the WB-IFC annual report, Doing Business 2011, doingbusiness.org. Someone suggested the repeal of RA 7227 so that the whole sale of military camps will go to the AFP and not to the BCDA and other sectors mentioned above. That since the AFP modernization law was enacted in 1995, the AFP received the first release of about P5.4B in year 2000, and this was AFP's share for the sale of Fort Bonifacio. Congress NEVER included in the GAA any modernization money until it released P5B in 2002. I can support that repeal or amendment to the BCDA law. Many people were actually asking, why give money to Clark and Subic when they have no debt, they have vast tracts of land which are clear assets, not liabilities. These are relatively easy to convert into cash for the BCDA. We can ask one important question here: Is there any REAL external threat to the Philippines, a country that wants to invade us soon or in the medium term? If the answer is Yes, then we will need soldiers trained to fight invaders. If the answer is No, then abolition of the AFP is a logical move. The real threats in the country are internal -- killers, murderers, rapists, kidnappers, hold-uppers, carnappers, land grabbers, extortionists, thieves, drug pushers and other criminals. Both in government and the private sector. Even the communist NPAs and the Muslim rebellion are internal threats and should be a police function, not AFP function. Some hawks insist that China and Vietnam are external threats to the Philippines. Wrong. As I repeatedly argued here earlier, China became richer by sending thousands of ships of cheap goods to the Philippines and elsewhere. China is now the world's 2nd largest economy (GDP size) next to the US, even without sending a single warship or a single tank to invade any country (except, well, its Tibet occupation). China and Vietnam will continue enriching themselves through trade. But vested interests who are salivating at the multi-billipn peso deals for military equipment are fanning the war dance rhetoric. Someone suggested that China setting up drug labs, make us a dumping ground, do human smuggling in Chinatown, head the intellectual piracy, steal our natural resources, overfish, steal our coins and bring to China, and threaten our boundary by setting up military structures and send warships to patrol the area, as examples that China is an external threat. Drug labs -- Chinese, Filipinos, others do it here. 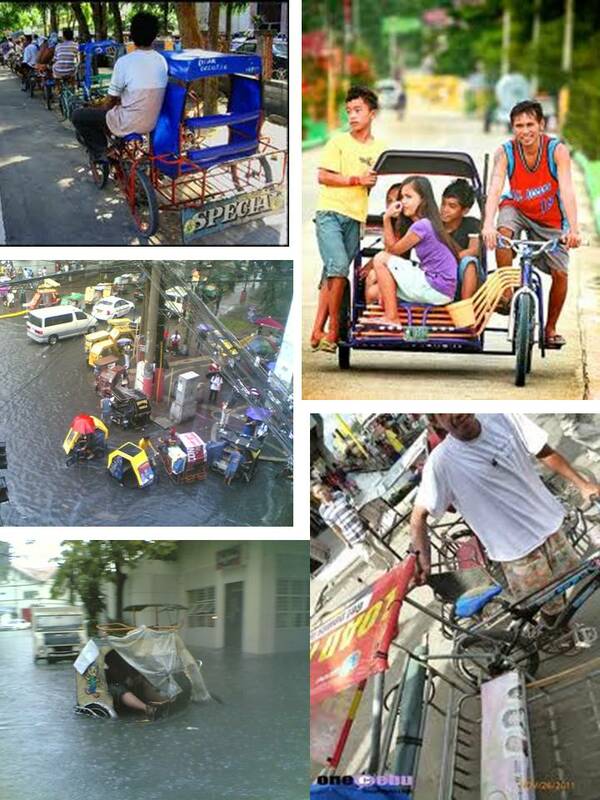 Human smuggling -- chinese, pinoys, europeans, do it here. Dumping of cheap goods, it's good. Only the very rich who do not need to go to Divisoria or Baclaran or elsewhere don't appreciate cheap goods from China. 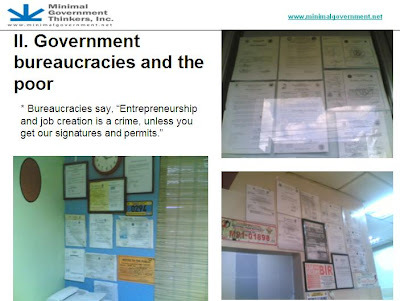 Intellectual piracy -- chinese, pinoys, indians, others do it here. Stealing of coins -- chinese, pinoys, do it here too. Where's the external threat there? About military structures in the Spratlys, that's why the solution is more foreign diplomacy, expose such actions by China and bring to various international fora. Better that we hire 50 or more new diplomats and researchers, than get 50 new warships, 50 new jet fighters, etc. to do what, "challenge" China? I am no apologist nor lover of the China government. I can never support any BIG government, much less a communist government. But neither will I support expanding the Philippine government to supposedly "challenge" a fellow BIG government in the north.